This is our love story. A blog about our growing family, taking the world by storm, one tiny step at a time. 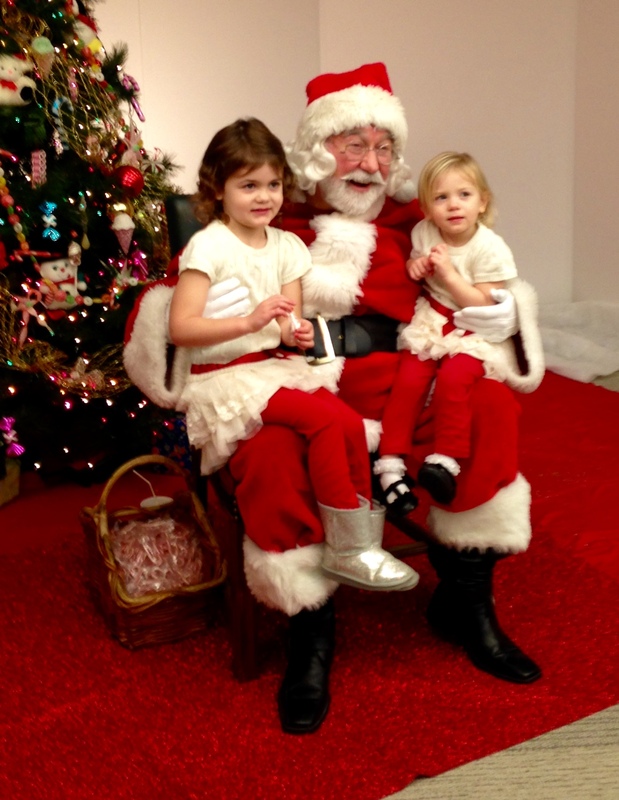 Visiting Santa – Both girls loved the guy this year! I have to admit he was pretty good and even had a real beard. I kept waiting for Milly to give it a yank but they were both in awe and even each gave Santa a big hug when they told him the things they wished for the most. Driving through Winter Wonderland in Tilles Park – We hit up this park only once before when Ev was 2 1/2 and Milly was just a few weeks old, so we wanted to go back again this year so both girls could see all the Christmas lights. They were both so excited to see everything all lit up and thought that was where all the elves live. The biggest hit was passing the horse-drawn carriages through the park. I think next year we might have to take a carriage ride through! 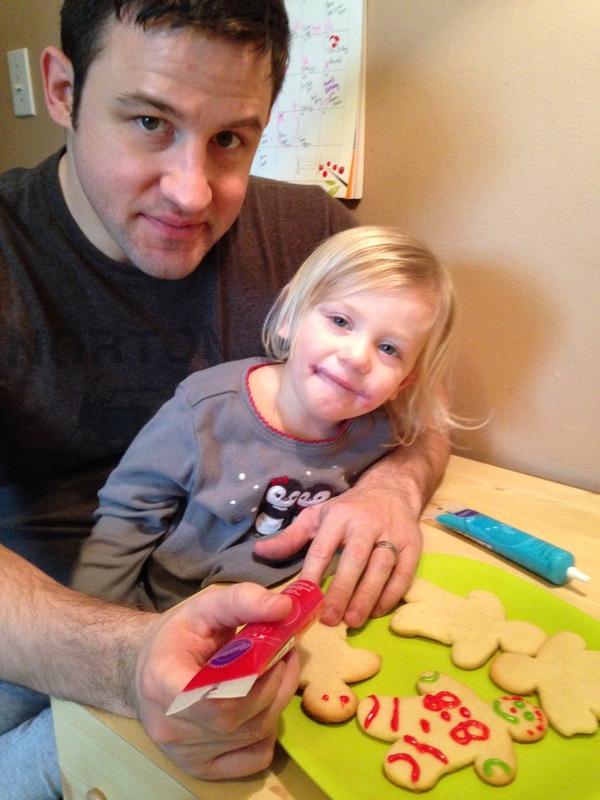 Making Christmas cookies with Mom (and decorating them with Dad) – whoever said baking with kids was easy was crazy. 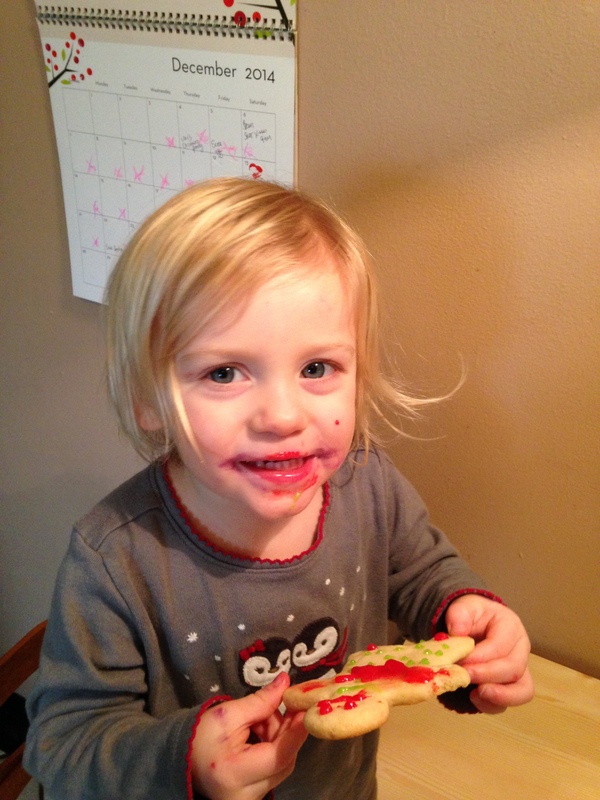 We made a colossal mess in the kitchen but everyone had fun so it was worth it in the end. Daily “Sparkle” sightings – Sparkle is our beloved Elf on the Shelf, who flies to the North Pole at night to report all behavior to the Big Man, and comes back and hides in a new spot in the morning. Every day since after Thanksgiving, both girls would shoot out of bed trying to find Sparkle’s new hiding spot before the other one. I don’t know if Marty or I were happier to see Sparkle off to the North Pole on Christmas Eve. No more endless nights forgetting to move that thing and waking up in a panic at 3 am to go move the damn elf! 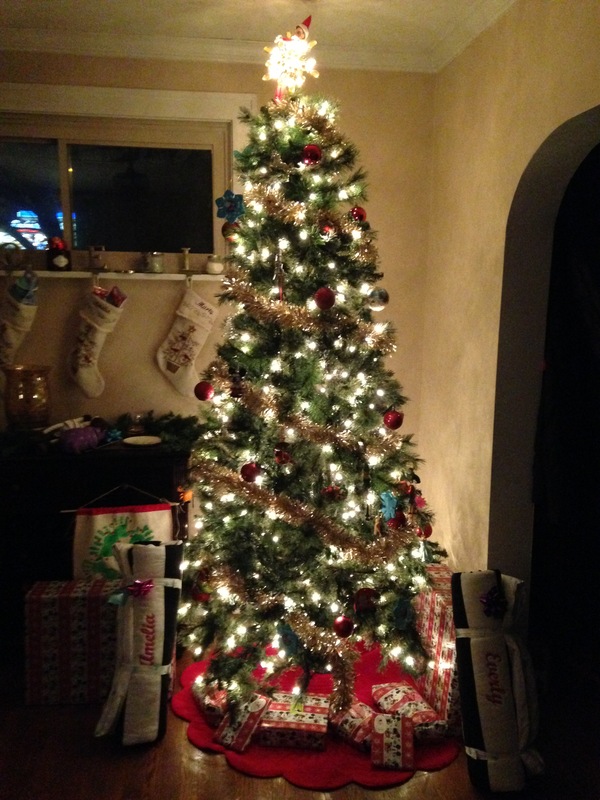 We had such a good time with family on Christmas Eve and Christmas Day. The best part was just Marty and I waking up with the girls on Christmas morning and hearing their squeals as they crept out into the living room (at 7:30, Hallelujah!) 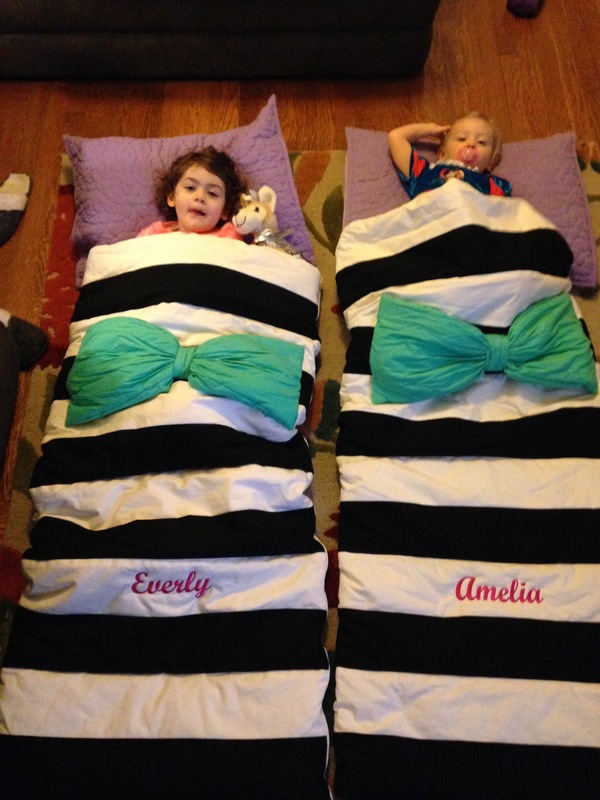 to see their GIANT Barbie dreamhouse and a tree full of presents for just the two of them. Yes, the dreamhouse got put together by 1 am on Christmas Eve, thanks to a very tall glass of bourbon that Everly left out for Santa with his cookies. What a fantastic Christmas! We can’t believe we’ll have one more with us next year! 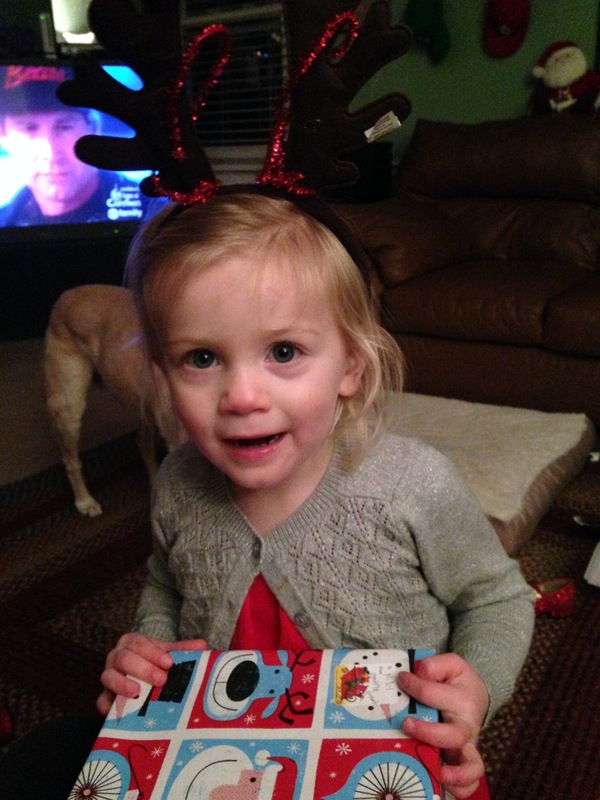 My favorite is of Milly holding the present at your mom and dads. You can see the true thrill in her eyes. 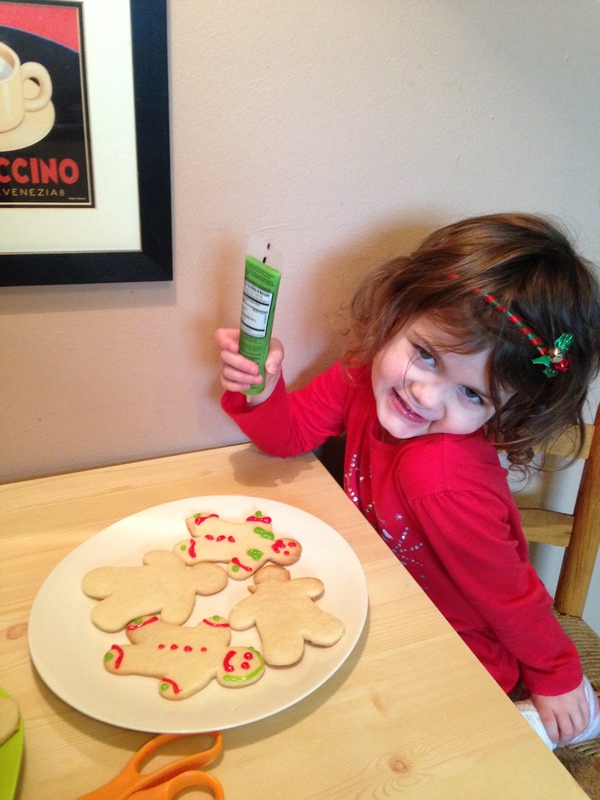 And it is dawning on her what Christmas is. She was to young last year but this is the year she realizes something really neat (that she loves) goes on at Christmas. 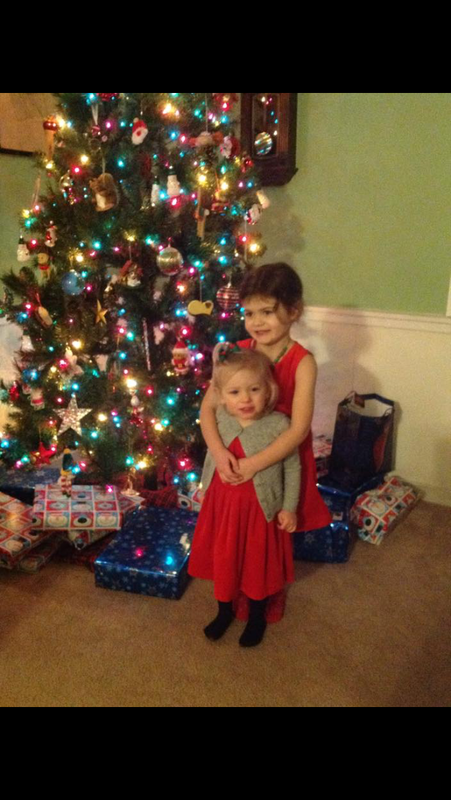 They were the beauty of Christmas this year. I'd love for you to follow my blog! Enter your email address to subscribe to this blog and receive notifications of new posts by email. I Want More - Sign me up!